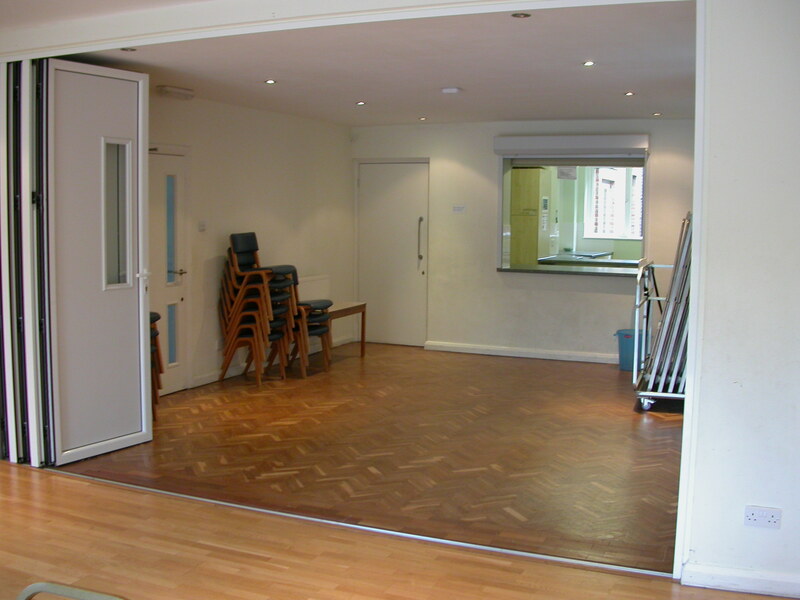 We have several rooms available for hire which suit a variety of different uses. Many of our users appreciate the quiet, welcoming space and the large gardens. All bookings include the use of the kitchen facilities. There is sufficient parking outside with dedicated disabled spaces, and there is disabled access throughout the building. 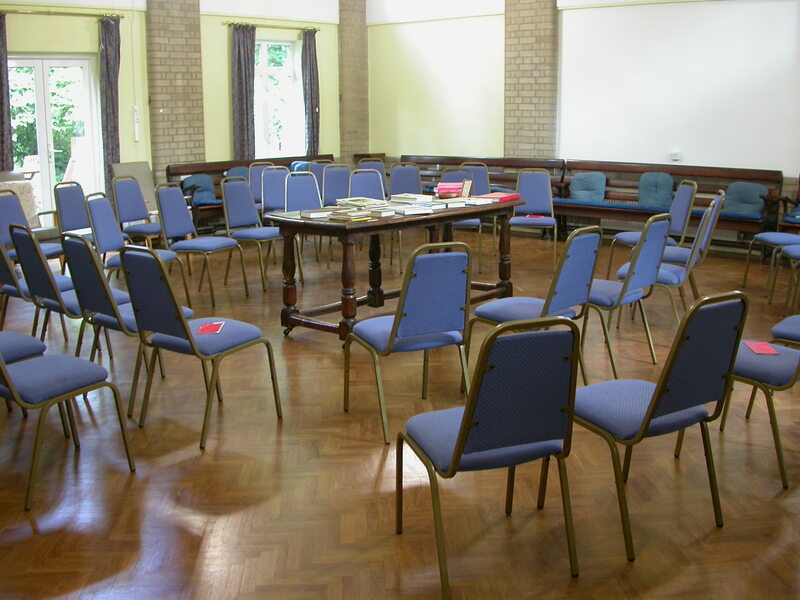 The Main Meeting Room is available Monday and Wednesday evenings on a regular basis. Bookings will not be accepted for Sundays. Please see our list of regular user groups. Please download our Lettings Leaflet and our Booking Form. 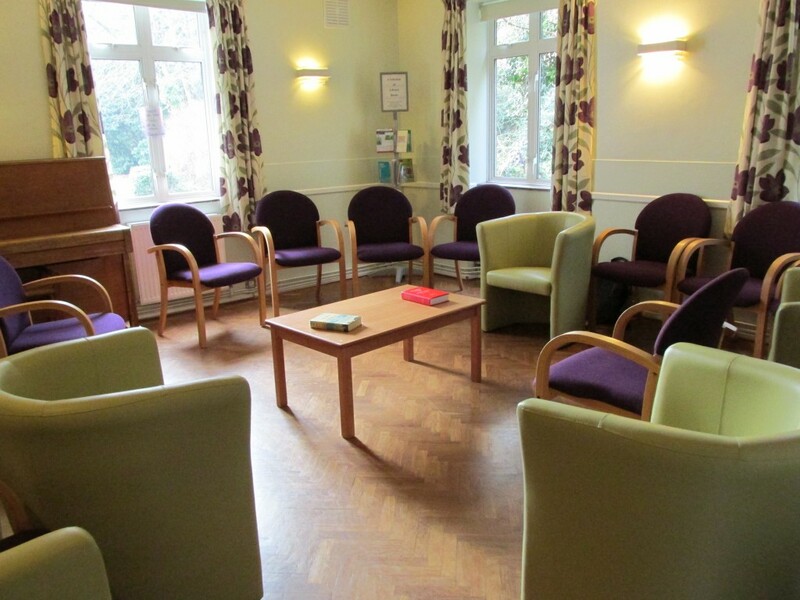 Our spacious main room can hold from 60 to 100 people, with chairs available as well as the permanent benches round the walls. The high ceiling allows plenty of light in, but there are blinds/curtains on all the windows should you want to use a projector. A built in loop system with a central microphone is a benefit of this room. A hatch through to the kitchen allows refreshments to be served conveniently. This modern room can hold about 30 comfortably. With large windows it is well lit during the day, and has modern ceiling mounted ‘spotlights’ for evening use. 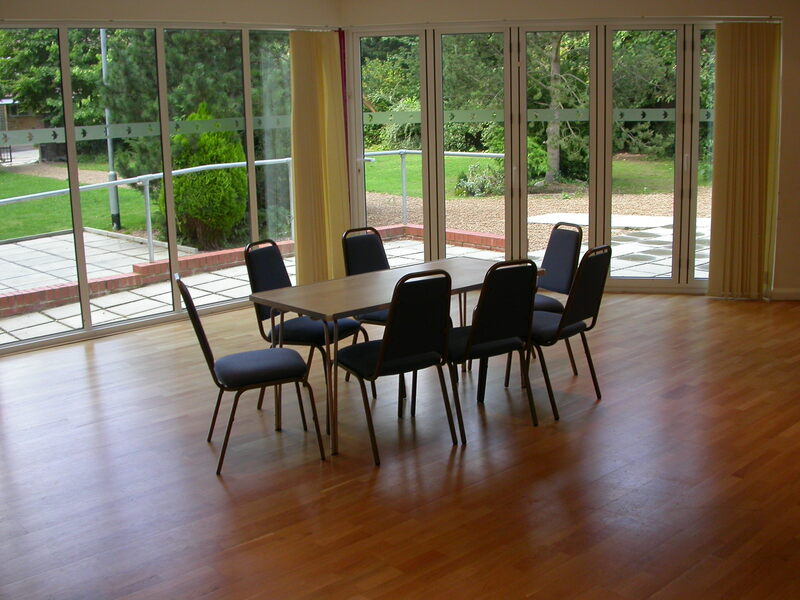 An attraction of this room is direct access into the garden via a large folding door. A sink inside the room makes this ideal for messy activities such as painting. 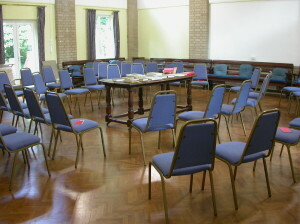 This room can also be connected with the east room for more space. A smaller room with space for 10, with a serving hatch to the kitchen, has good artifical light or combines with the new room to provide more space and access to the serving hatch. 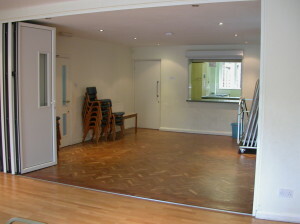 The two rooms are separated by a folding wall. Another small room of the same size as the east room, but with comfy armchairs. Can seat up to 16 people.